As a general rule, so-called foodies' tastes can acceptably encompass both cheap and expensive ingredients, and both wholesome and some rather unhealthy foods... but one of the big no-nos is trashy, instant, highly-processed food. During the dinner party I hosted last Saturday, G was helping me out in the kitchen. Looking for the salt, she flung open the doors to my pantry and stood for a few moments surveying the contents. As she did so, I must confess that I felt slightly uneasy - what if she saw some of the non-foodie food items in my pantry? Items that no foodie worth her organically-certified sea salt should rightly own? One of my very favourite trashy snacks is a toasted cheese sandwich crammed full of Old El Paso pickled jalapeños. The ultra-tacky Old El Paso labelling always reminds me of a Mexican restaurant I went to in Edinburgh five years ago with my friend Sam, who was from San Diego and a champion yachtswoman. It was a freezing cold night and we happened upon a restaurant called The Tijuana Yacht Club - I insisted that we dine there, on the strength of the funny name alone, and after much protesting Sam agreed. We ate what would pass for a decent enough Mexican meal in Australia, and as we finished eating I said something along the lines of, well that wasn't half bad. Sammy gave a heavy theatrical sigh, dropped her fork with a clatter and looked at me with pity. "Claire, WHEN you come to So-Cal, and WHEN I take you to Mexico, then you'll understand what you're missing out on. Oh my GOD!" Yeah, I know. I KNOW. It's completely fake. It's powder you add to pan-fried onion, chicken, capsicum, water and peanut butter, for heaven's sake. But... I just love the taste of it! I used to make it for my brother and sister for dinner when I was first old enough to babysit by myself, and it remains a guilty comfort food I still love to whip up when I haven't got the energy to make anything else. Okay, this is the point in the post where I really hope my Mum doesn't read this, otherwise she may call up the carabinieri and arrange for my Italian passport to be revoked... I think it was the year of crappy college food in Adelaide that made me appreciate the occasional weekend breakfast of tinned spaghetti on toast. To be honest, this tin has sat unopened in my pantry for several months, so it's not even as though tinned spaghetti is high in my list of priorities. But yes: I do own a tin I hoped G didn't notice as she inspected my pantry contents. * goober grape - i mean c'mon, have you ever tried this? it's peanut butter AND grape jelly together. how can you possibly go wrong? oh, and does having about 5 litres of random olive oils count? i promise, if you can think of a small olive grower that has done a cold pressed evoo, i have probably got it. i'm not proud ot if, but's it's there (and taking up way too much cupboard space). they are the only ones i'm truly game to admit to (i might have a look tonight and find other things that are just as embarassing). oh wait, i also have hooters crumb base and dipping sauce for the hooters wings! i'm sure i have other bad things simply due to two reasons: i tend to impulse buy and regret it by the time i get home, and i like to go to asian markets to buy crazy name items. anyone up for LOLers? how about fuku chicken noodles? Claire, you won't believe it, but like the mushroom thing previously, The Age have done an article that is exactly the same as yours. It's about whats are in chefs pantrys. "Old El Paso pickled sliced jalapenos I've tried many other brands, and they're usually more expensive, but I haven't found any as good as this one. It has a lot of heat and a nice texture." * Pickled jalepenos - I love these things too and love them on a toasted sandwich with salami, cheese, anchovies and mustard. Mmmm, mmmmm. * Praise Italian salad dressing. I love this one, it has the right amount of acidity for me. * Anchovies - I put anchovies on a lot of things that probably shouldn't have anchovies on them. I'm with you on the tinned spagetthi!! I have tinned sausages lurking in the pantry ... at least 3 tins at any time as Sunday brekkie at our household means combining a can of tinned sausages with tinned baked beans in a saucepan for slobbering onto toast. There's also tinned corn beef for frying with onions and chilli. Oh and condensed milk for milky tea at night!! Oh my god, Thanh. I don't believe it. 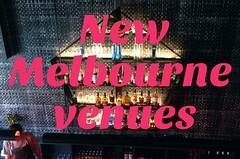 First the Riverland review, then the Damian Pike mushrooms, then the pantry secrets. Why are you doing this to me, Epicure? GET OUT OF MY BRAIN!!! Oh, and I totally concur with Andrew McConnell and Philippa Sibley re Sirena tuna, and Philippa re La Gina diced tomatoes. When all else fails, a pasta sauce using those two ingredients will save the day. So what is trashy in my cupboards other than E's stag chilli. Probably the pasta sauce and the boxes of curries which are great for a night where we have no energy! And custard powder! But the pantry is crowded enough that it is hard to find anything including the trash. Oh I looooove pickled jalepenos but I don't consider it a guilty secret. :) And I also have tinned spaghetti, although my brand of choice is Watties! Apart from that, my biggest guilty secret is probably instant noodles. I like Nissin and Trident! Ooooh Claire my dear, in all honesty, I am only really getting a glimpse into your pantry now, with your very public unveiling! On Saturday, all I saw was all that I was looking for... salt! Now, however, I wish I had taken the opportunity to have a real sticky beak!! 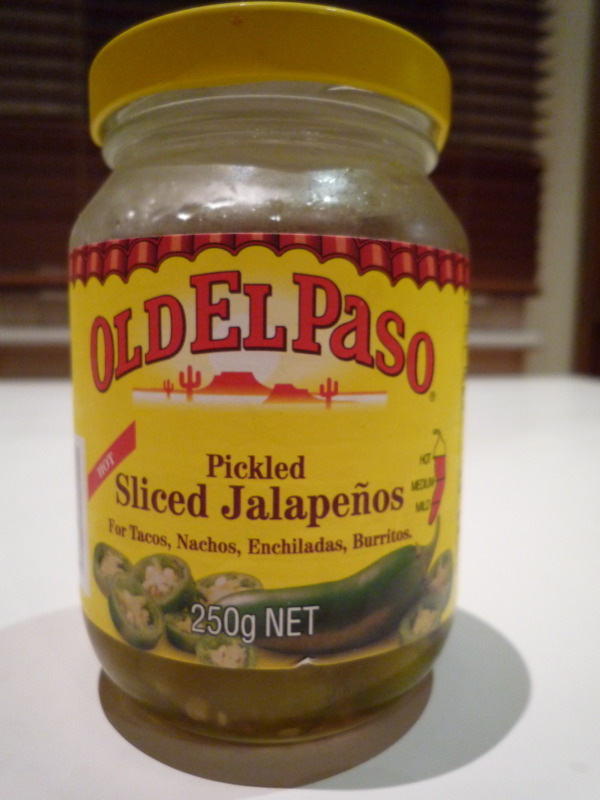 As for my guilty pleasures, I am with you on the jalepenos, who would have thought they were such a staple? BTW, dinner was simply gorgeous. Food and company outstanding! Andy and I feel very remotely normal and human again you lovely thing! I thought I'd be able to dig up a few guilty pantry secrets for you... but for once it seems I'm almost pure!! I can admit to having a fondness for Indo-Mee instant noodles if I come home very late from work (but none in cupboard right now). Beyond that... does powdered coconut milk qualify? (for when I forget to buy a can). And Claire, I think your jalapeños are entirely ok! I always have Tabasco in the cupboard. Which in itself is not too embarrassing, except that I put it on everything. Even Vegemite toast. 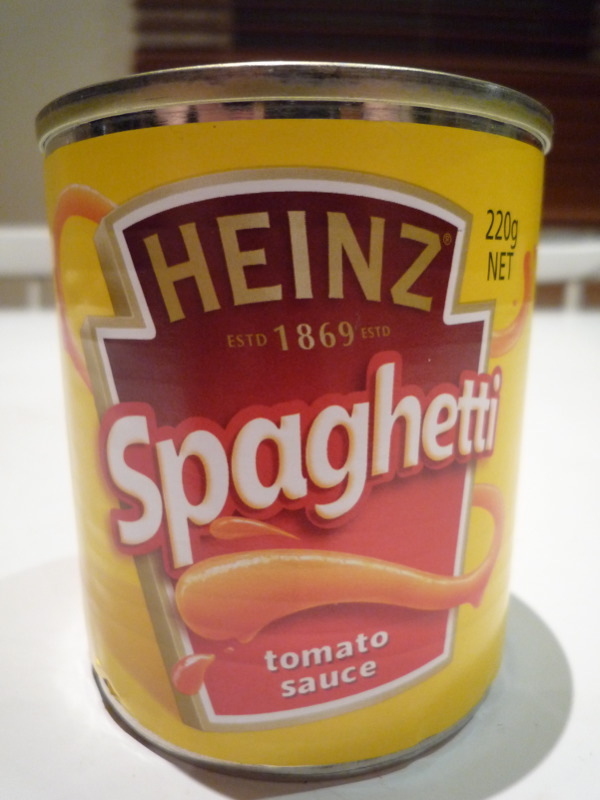 I love tinned spaghetti - especially the kind with extra cheese. I'm also a fan of tomato flavoured 2 minute noodles when I'm really hung-over (though I haven't been able to find them recently and chicken-flavoured ones have had to suffice. Mine's not too bad...but the freezer's a different story. Ice-cream. Lots. None of it posh. Bugger Epicure - yours is far cooler, Claire! I must confess to indulging in the occasional alfredo pasta and sauce - I think that because at the age of 7 I thought it was the height of haute cuisine it has somehow been hardwired into my adult palate. Also tinned smoked kippers roughly mashed with lemon, salt and pepper on toast with sliced tomato. and of course mee goreng noodles! Thanks everyone for writing in with your guilty pantry secrets! You're awesome. Keep 'em coming! Clare: is that you CJ? Nothing wrong with Tabasco my friend. Sometimes if I've skipped breakfast because I'm running late I grab an egg and bacon roll from Kenny's on my way to the office, but ask them to add chilli sauce. Yum. 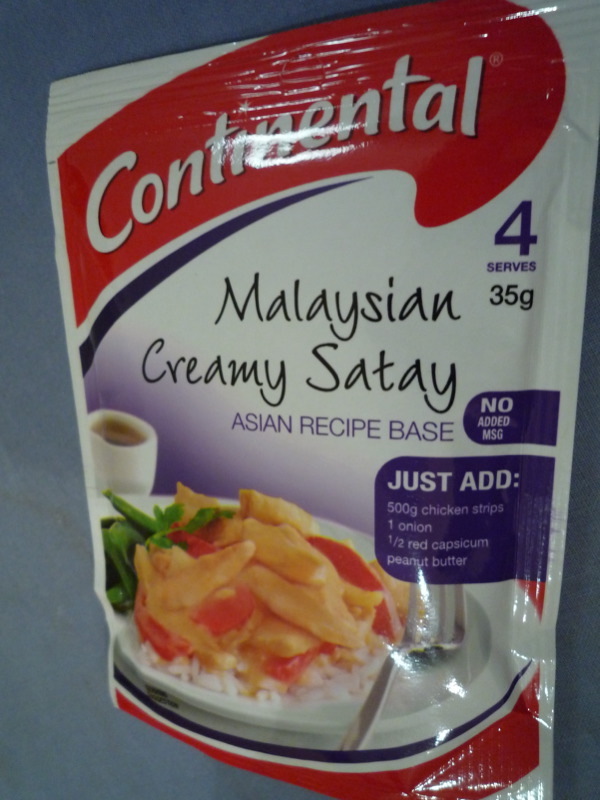 oooh, i love the Melaysian Creamy Satay, it's my favourite food in the whole world, i am absolutely desperate to be able to recreate the taste of this but home experiments haven't come up with anything even close, CAN ANYONE POST THE RECIPE PLEASE!!!! 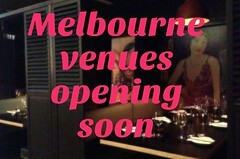 Us Satay fans are crying our for the oppertunity to make it at home.